In a seminar house a walk away from the North Sea, dreams become reality. We are offered first-class workshop conditions in a beautiful environment surrounded by nature. In a personal atmosphere we will enjoy comfort and modern facilities. The rooms are all lovingly furnished and each one is a bit different with shower room – and personally and comfortably furnished. Tantra workshop near the North Sea, enjoy the beach, the sun and walks by the sea in workshop-free times. The vastness of nature allows an infinite view. The old tree population mixes into the large meadow landscape of the coast, where newts and barn owls say good night. A 40,000 sqm large park area invites you to walk and to discover friendly places and small lakes. Or you can put your beach chair on a favourite spot and just chill. Entering the lawn is welcome. We spend the workshop time in a spacious, tastefully designed seminar room in the form of a high pavilion. It is located in the middle of the park, overlooking the trees and the lakes. The spacious and bright room has a wooden floor and due to its location in nature offers a protected framework for our workshop. Kunzehof pampers us with delicious vegetarian food for our well-being during the workshop. In our seperate dining room we can enjoy our meals in a nice undisturbed surrounding. Lunch consists of organic, freshly cooked 3-course meals with vegetarian main course. 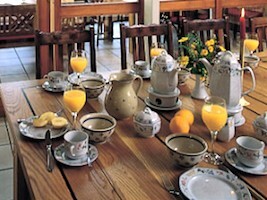 During the breaks we are offered coffee or tea, on request also cereal coffee, fruit or herbal teas. Homemade cake will be served in the afternoon. For dinner we will have bread and topping with a nice cold or warm snack. Relax in the bar with a cool or warm drink. Here you can talk in a cultivated atmosphere or just chill. Some people like it hot – and luxurious: the sauna is a special place in Kunzehof. Depending on your wishes and weather conditions, you can afterwards head to the elegant relaxation room or to the small lake – you will enjoy it. 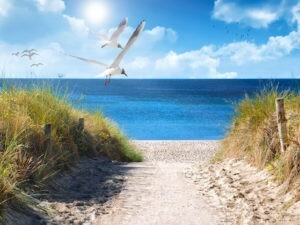 In seminar-free times we can walk or drive to the sea and enjoy the sun on the skin and the wind in our hair.